King Fireplace & Stoves have been providing beautiful limestone, marble and bespoke fireplaces and stoves nationwide, for over 40 years. Since being established in 1969, we at King Fireplace & Stoves have built a sterling reputation based on our master craftsmanship and our customer first company ethos. King Fireplace & Stoves always puts the customer first. Our installation and delivery service is organised around a time and date that suits the customer. 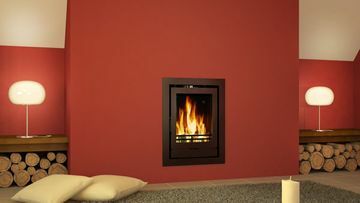 King Fireplace & Stoves has a range of beautiful fireplaces available. We supple our own range of limestone fireplaces and a wide selection of beautiful marble fireplaces. 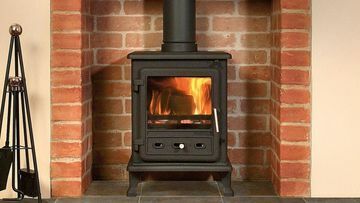 Along with our range of fireplaces, King Fireplace & Stoves provides a varied selection of stoves. These are available as free standing stoves or as inserted units. With 40 years of dedicated service behind King Fireplace & Stoves we have an unrivalled level of expertise in the installation of quality fireplaces and stoves. We offer bespoke solutions to customers. We are able to customise our entire range of quality fireplaces to suit our customer’s unique specifications. The dimensions of a fireplace can be altered to suit a client’s living space or an entire fireplace can be built from the ground up to please even the most discerning of customers. “One of the best transactions I have ever been personally involved in. Every member of staff was extremely helpful and friendly. Despite numerous queries and questions raised by us, they never ceased to amaze me in their ability to help out and co-operate and assist us in the purchase and fitting of our fireplaces." King Fireplace & Stoves are a small family run business that specialises in hand crafting natural limestone & marble fireplaces using traditional methods. we're proud of our history, where the age-old and intricate skill of stonemasonry has been passed down through the family over three generations. King Fireplace & Stoves ensure a professional and personal service is provided at all times. We offer a made to measure and bespoke service and are happy to offer advice on any aspect of your purchase at any time. Thank you for taking an interest in King Fireplace & Stoves. We realise what an important decision choosing the right fireplace can be and hope to assist you in making the right choice for your home. 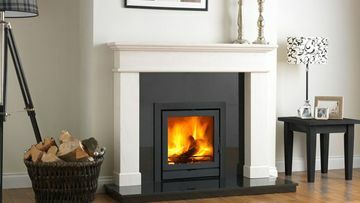 King Fireplace & Stoves is an F1 registered fitter. 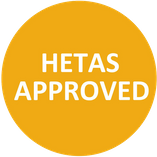 We also hold a HETA registered certificate and are members of the National Fireplace association.